Dear Salvation Army, The Angel Said Whaaaaaaat??? It had been a quiet morning as the sun seemingly struggled to wake the slumbering cobwebs from the earth. This is how Mary always began her day. She helped her mother prepare the house then it was off to collect water and the list went on… The sun began to pour into their dwelling, rays of gold catching every glimmer and spec of dust falling in the air. Mary enjoyed these silent, ponderous moments. Abruptly, her silent moment is caught by the heel and turned upside down in the most remarkable way possible. Perhaps, years later, she will look back upon her life and identify this as the moment when everything changed. Her neck hairs stand on end and she immediately knows that she is not alone. Something behind her catches the eye…movement. Spinning around swiftly she is caught off guard by the imagery in front of her. Imagine something not of this earth, strikingly radiant, suddenly appearing in your home. Wouldn’t you be caught off guard as well? She notices beyond the aura of light that a being stands before her. Okay, perhaps Mary’s response wasn’t exactly like that, but a look of concern crosses her face. How could this be? She isn’t even married yet. She is, in fact, still a virgin. It is unnatural, unheard of, it is just too much to take in all at once. The Angel had told her not to be afraid and yet she was certainly anxious and afraid. There in that lowly room so long ago, history was being made. It didn’t happen to a mighty queen, nor did it happen to one who was prepared for such a feat…but it happened to a teenage girl, inexperienced in the world, naive and young. How could this be? The Savior of the world is placed in the arms, or soon would be, of a young woman. Think of it! Mary experiences this theophany of sorts and the symphony of salvation is born to all the world! I find it interesting that Mary doesn’t refuse the Angel’s announcement, or laugh as Zacharias (Elizabeth’s husband) does. She takes in this message. She absorbs the news. She is strong, much stronger than most…perhaps this is one of the reasons she is chosen to be the mother of Jesus. It still astounds us today if we contemplate it long enough. Salvation will be born of a virgin. Could it be that because of such a concept the Christ is not born into sin as we were? Could it be that all of the “messiah’s” who came before Jesus, the bloodshed, the violence was all in vain? Could it be that man’s attempts to find salvation and restoration from sin was imperfect for the lambs they were sacrificing were also imperfect and not enough? There is much to ponder here today my friends. Immediately following the proclamation from Gabriel, Mary runs as fast as she can to the nearby village…(was it the same day? Was it immediately, as in ‘that day’? We don’t know, it just says “at that time” Mary got ready and hurried to a town in the hill country of Judea.) Perhaps she stumbles a few times on the way in her haste to seek out solace and reassurance. Mary seeks out the comfort of family. She seeks out someone in whom to confide. No one will believe that she is still a virgin. No one will accept such a tale…but family, the trusted few will help, protect and guide. What do we make of this tale? What do we find reassuring from this record? Is there not something we can all glean from this? 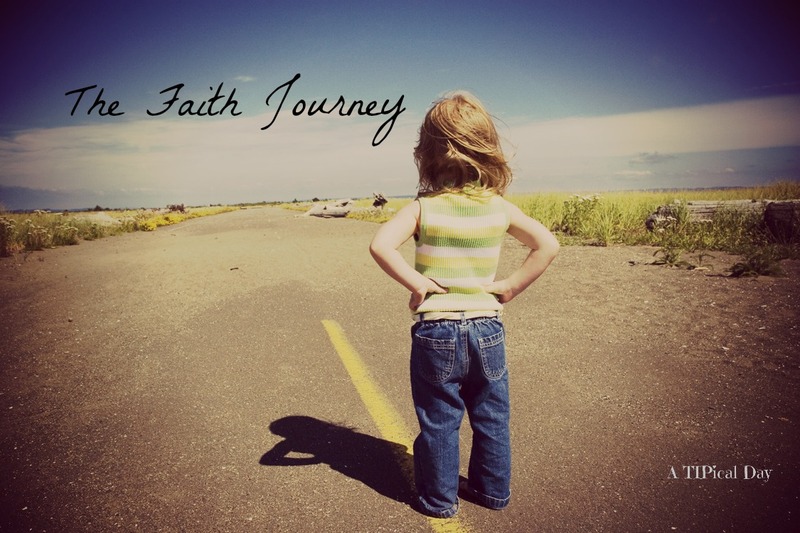 What does faith look like, dear soldier? 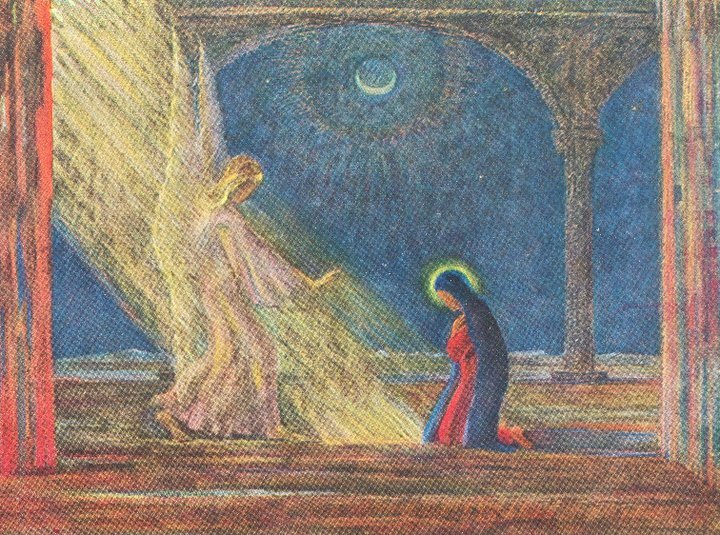 Certainly Mary’s response to the Angel’s proclamation is a indication of courage and faith. Certainly the mother of Jesus provides us with an example of how we are to respond to the workings of the Lord. Are we so far removed from this narrative? Does this not still impact our daily lives? Mary doesn’t laugh at the Angel. She doesn’t weep and rebel and refuse to participate in this salvation story…in fact she accepts it and moves forward. It doesn’t say that her life improves immediately. I am sure she could not have hidden this pregnancy for too long. From a pure physical perspective, Mary’s life could have been in danger and at the very least susceptible to all kinds of scorn, gossip and sideways glances. “Oh look, there goes THAT Girl“. How do we respond to the leading of the Lord in our lives? Are we fully submitted to His will or do we still struggle, moaning and groaning within this call? Can we reflect within this holy narrative today? Can we find comfort in a mighty God? Have we forgotten, or taken His holy presence for granted, especially during this busy season? renew us again. May we respond to you as Mary once did so long ago. We all face challenges, some large and some small, instill in us Your comfort again no matter what season we are in. We long to be your people. We long to give you praise in all things. Refine us, O Lord. Restore unto us, this joy of our salvation today! Reignite our passion to serve you and to reach out to those who are still lost. O Lord, we can do nothing without your hand upon us. Journey beside us today. This we pray. -Amen. Previous Post Previous post:Dear Salvation Army Soldier, Are You Broken And Weary?